Nicolas Winding Refn and Ryan Gosling's stylish Bangkok noir explores a man’s search for something to believe in. 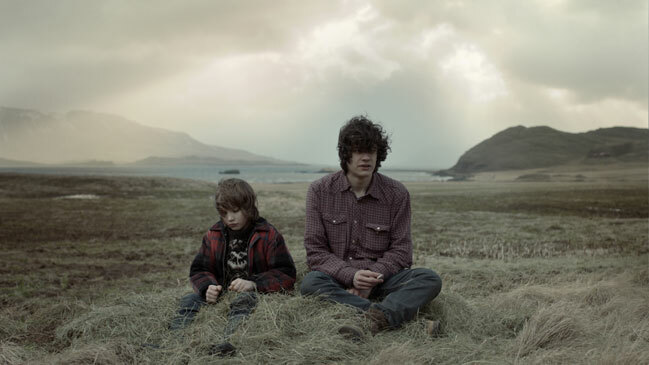 Gudmundur Arnar Gudmundsson delves into the lives of two brothers in a far, inhospitable corner of Iceland. Danish Angel Films has co-produced Dutch auteur Alex van Warmerdam's dark fable about modern suburbia. Solecito by Colombian director Oscar Ruiz Navia is one of 16 short films about the Danish-Icelandic artist Olafur Eliasson's solar-powered lamp Little Sun. In Cannes Competition. “There are more and more Danish filmmakers venturing out there." A talk with DFI's International Producer Noemi Ferrer Schwenk and a few straight answers on co-producing. Would You Hold My Baby, Please? Mikael Chr. Rieks only works with people he would leave his kids with. "There is so much at stake." Rieks is one of the 29 European Producers on the Move to be promoted in Cannes. A Cannes regular? Mads Mikkelsen won Best Actor for his performance in Vinterberg's The Hunt. This year he is the star of Arnaud de Pallières' competition film Michael Kohlhaas. Lene Børglum talks about the challenges producing Nicolas Winding Refn's Only God Forgives as it grew from a handheld, no-star quickie to a cinematic explosion with A-listers. Søren Kragh-Jacobsen, one of the four Dogme Brothers, has adapted P.O. Enquist’s play The Hour of the Lynx. His film reunites Søren Malling and Sofie Gråbøl from The Killing. Søren Malling just celebrated 20 years in the acting business but has only been getting serious attention in the last few years. A talk with the actor about his late blooming in The Killing and Borgen. 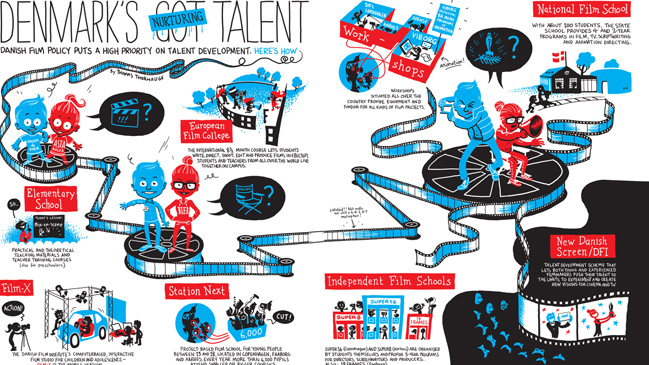 Danish film policy puts a high priority on talent development. Get the bigger picture of Denmark's fine-tuned food chain of film talent, from preschool to Film School. Westerns are a rarity in Denmark. Now, Kristian Levring and Zentropa are taking a serious stab at the genre in their lavish The Salvation with Bond stars Eva Green and Mads Mikkelsen. 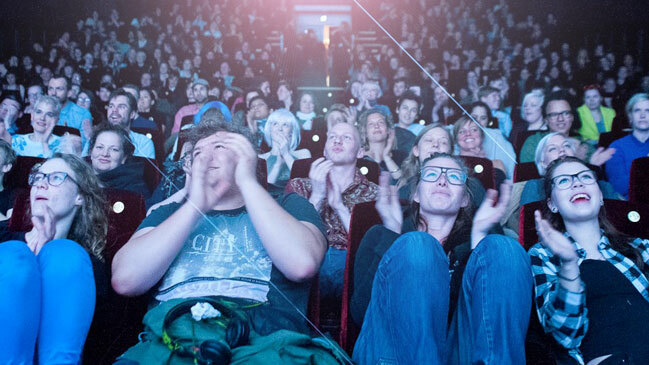 From CPD:DOX, PIX and MIX to festivals for short and children's films ... Get a quick view of festivals and film events in Denmark. Lars von Trier didn't make it to Cannes this year. His highly anticipated Nymphomaniac will hit the theatres on 25 December, but until then you can follow the campaign unfolding the film's multifaceted universe.